It’s going to be the happiest day of your life, so you want it to be as close to perfection as possible. But exactly how do you choose a wedding venue? Luckily, this is an area within which we have some serious expertise. If you give serious thought to the below 5 steps when looking for your perfect venue, then you will end up with an unforgettable day. From a prime location to a fitting theme, when it comes to choosing a wedding venue we’ve got all the bases covered. It goes without saying that your choice of location can make or break a wedding, so pay extra attention to this when making any decision for the day. This is one aspect that can have a knock on effect for everything else. Location can influence travel, attendance, theme, photography, clothing and much more. Whilst this appears at the top of the list in terms of importance, you can tackle this one either first or last, depending on your thoughts regarding the other elements of the wedding. Tackling it last could give you longer to consider all your options, as well as decide on the other factors of your wedding that may dictate the location you should be looking for. Whether it’s going to be a country retreat, a city escape or something in between, if you follow these steps you can be sure that it’ll be the right location for your big day. Aside from a few exceptions, for many people their wedding day is all about sharing the experience with the people closest to them. With this in mind, the capacity of any prospective venue must be at the forefront of your mind when you are shopping around. 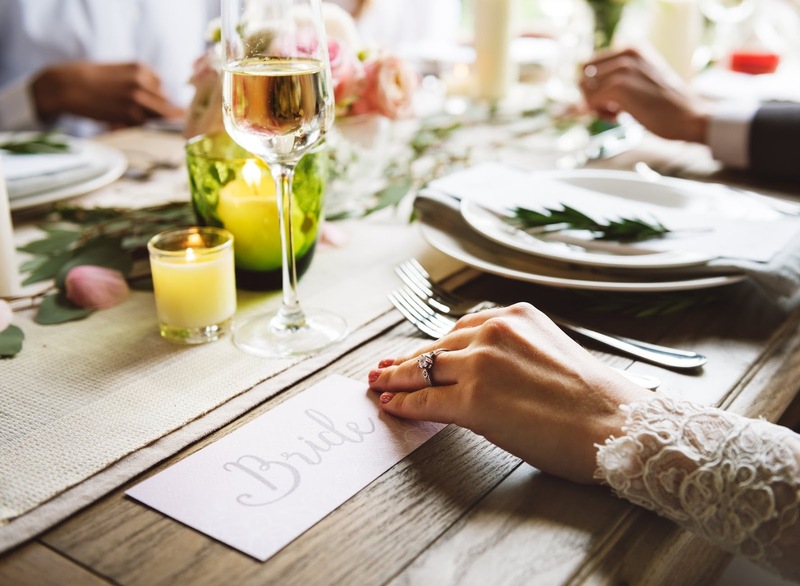 Regardless of whether your wedding is intimate or a grand celebration, getting your list down to the right number and making omissions can be hard enough as it is. If you then choose an unsuitable venue, this could be worsened even further. Once you have done the unenviable task of crafting a guestlist, ensure that your venue of choice can hold those numbers (consider both day and evening guests) and you can’t go far wrong. Even if it means you’re subjected to more bad dancing as a result. Without great suppliers, your wedding can become an empty shell. They provide food & drink, music, entertainment and set dressing to name just a few. It is important to take a look at which suppliers your venue either recommends or provides, their experience, reputation (the internet is a good resource for this) and prices. If you are going to be using your own suppliers, then you need to be sure of what your venue will or will not allow, just in case there are any restrictions that could affect this. After all, it wouldn’t be a wedding without a great DJ or band to play in the happy couple’s first dance. Whether we like it or not, it always comes down to this. Consider your desired venue and all additional elements put together. Once you’ve done that, there’s a simple question to answer; can I afford it? If the answer is no, you could look at cutting down on particular elements of the day (such as suppliers, flowers, live music etc. ), or looking at another venue you love. Having a great wedding is a priority, but don’t put yourself in a worse long-term position chasing it. There are always ways to work around this issue whilst maintaining your dream. There are fantastic venues available at great prices in some of the UK’s most desirable areas, such as the Pendulum Hotel in Manchester. Perhaps you even have some budget left over, in which case you can look at adding further flourishes should you wish. Lucky you! If your wedding is a work of art, then the theme is indicative of your overall vision. Theme dictates the aesthetics and tone of the entire event, as well as the experience for everyone involved – especially the happy couple. The possibilities when it comes to the theme of your wedding are endless. It can be themed around a season, a colour or colour scheme, a particular aesthetic sensibility, art that you love, a historical period – absolutely anything. The choice is completely yours. There have been weddings with themes as disparate as winter wonderland and James Bond. If you really want to realise this vision and see your dream wedding right through to the end, then have your theme at the heart of your decision making process. For example, if your theme is something a simple as ‘rustic’, then one of the many luxurious converted barns dotted around the country might be the perfect choice. A super sleek and modern hotel in a city centre would not be. It can be a bit more nuanced than this, but this is essentially what you need to be bearing in mind. Do that, and your wedding is sure to go down a storm. Now go and select a great venue, plan the wedding of your dreams and enjoy every moment.